Xenon Racer is a love letter to the arcade racing genre; too bad for the many technical issues. Xenon Racer is a good game that so desperately wants to be great, but it falls short in too many areas to reach that status. Xenon Racer doesn't have anything that makes it particularly unique, so even the best port would still be mediocre. The one way it truly manages to go above and beyond is by doing its best to hide its shoddy port right up to its pre-rendered gameplay footage in the intro that was clearly recorded on a different system. If you're in a desperate fix for a new racing game there are worse options than Xenon Racer, but make sure you pick it up on another system, because even the added portability on Switch can't make this version worth the cost of admission. Ultimately, while Xenon Racer‘s initially frustrating difficulty barrier can be overcome, its blurry visuals, brief campaign and awful announcer take the shine off of the whole experience. There's no denying that Xenon Racer is a very promising drift-focused racing game but it doesn't quite reach the high notes that its inspirations achieved 20 or so years ago. 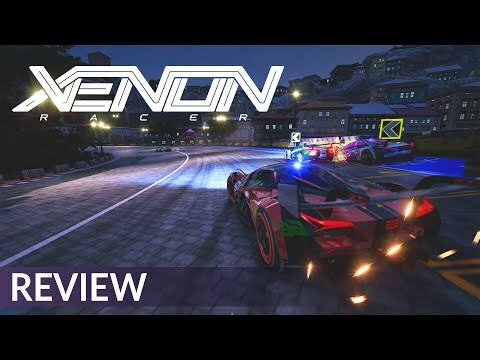 Xenon Racer is a perfectly serviceable arcade racer, but the significant technical shortcomings of the Switch port make it difficult to recommend in its current state. Xenon Racer hits its mark pretty well. There are many things that can easily over complicate an arcade racer, and even though not everything has a tonne of polish, Xenon Racer smartly focuses on just a few key areas. The result is an enjoyable, casual racing experience for those looking to step away from the higher profile simulator racing games and play something with a bit more style. For those looking for a competent arcade racer that takes no prisoners; then Xenon Racer is definitely up your alley.